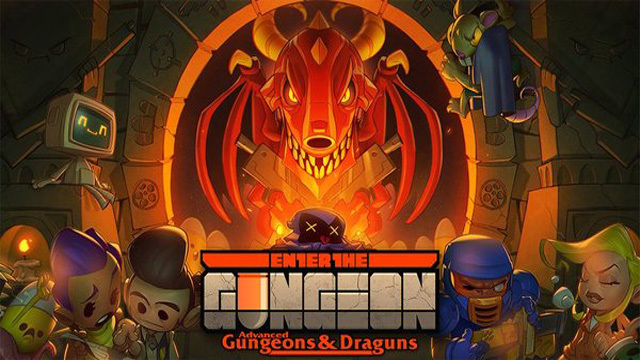 Developer Dodge Roll Games has released its sizeable DLC expansion for Enter the Gungeon as part of its 2.0 update. On top of adding innumerable improvements to the base dungeon crawler game, the Advanced Gungeons & Draguns expansion adds in hundreds of new rooms, new weapons, and new bosses including the NPC Resourceful Rat. The price for this expansion is totally free. To coincide with the momentous update, Enter the Gungeon is on discount for 50% off on all relevant platforms until July 26th, including Switch, PS4, PC, and Xbox One. The full patch notes for Enter the Gungeon‘s Version 2.0 update are listed below. They include not only additions, but bug fixes across all platforms. Added a new loot profile which improves shop contents, increases room reward frequency, and tweaks item/chest drop rates to be more generous, particularly early in runs. This is enabled by default but can be changed in the options menu. Replaced “key forcing” with tweaked key drop rates and guaranteed keys in the shopws of the first two floors. There should no longer be any benefit to leaving a key uncollected. You may now receive a gun from the “shopkeeper” on taking the shortcut to the second floor, similar to the other shortcuts. Probably many other small things we’ve forgotten about!